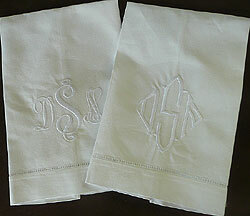 It is a way to make something personal and exclusively yours in addition to the elegant decor motif they afford whatever you are monogramming. 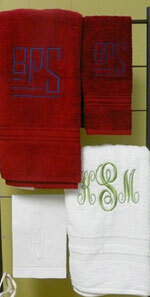 The most common places to see it is in the bedroom, on bedding and in bathrooms on towels. But there are no real limitations....bar stools, linen napkins and placemats, pillows both indoors and out, dining chairs the list goes on. 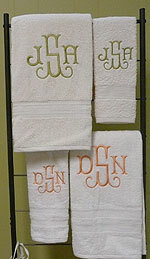 There are new trends with monograms, different styles being used in different ways and in a whole host of colors so there is a whole new world for monograms.